Ward 21 is a 16 bedded frailty ward. Please note this is a Secondment Opportunity for 6 months. 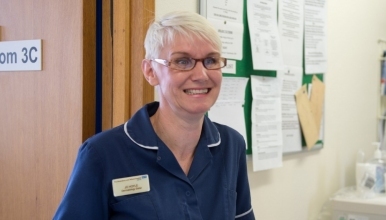 This is an exciting opportunity for an aspiring Ward Manager or an experienced existing Ward Manager to manage a well led effective team, focusing on providing the highest standard of care for our patients. You will be supported by the unscheduled care management team in delivering key Trust objectives. Our Trust is committed to supporting you in your continued professional development and there are learning opportunities in place to ensure you reach your maximum potential. In addition to this you would be supported and work closely with both our corporate nursing team and other ward managers/department leads. Our Trust is one of five in the UK chosen to work with the Virginia mason institute in Seattle, you will have the opportunity to work alongside our transforming care institute and be a part of our value streams which in turn will provide you with essential leadership skills and knowledge and ultimately improve patient care and experience.